May 4, 2012 By arzea 6 Comments This post may contain affiliate links. Read my disclosure policy. Gnocchi? Love. Macaroni and Cheese? Love. Pairing the two? AMAZING. Go to the store right now and buy these ingredients. Make this for dinner. You will not be sorry. I made this recipe a little while back, so I didn’t take pictures throughout, sorry! If you aren’t a mustard fan leave the dijon out because it does give it a mustard taste. If you like mustard, leave it in. I have found myself adding bits of mustard to nearly all my macaroni and cheese type recipes because it just adds a little kick and extra flavor. Mustard and extra sharp cheddar are a solid pairing. ps-don’t make this if you are on a diet. This is not diet food. Preheat oven to 375 F. Prepare gnocchi according to package directions. Drain and place gnocchi in a single-layer in a 1-1/2 quart shallow baking dish that has been sprayed with nonstick spray. Combine Gruyere and fontina, then add by the handful to milk mixture, stirring until melted before adding the next handful. Once all cheese is melted, season sauce with salt and pepper. Pour sauce over gnocchi and sprinkle with Parmigiano-Reggiano over top. 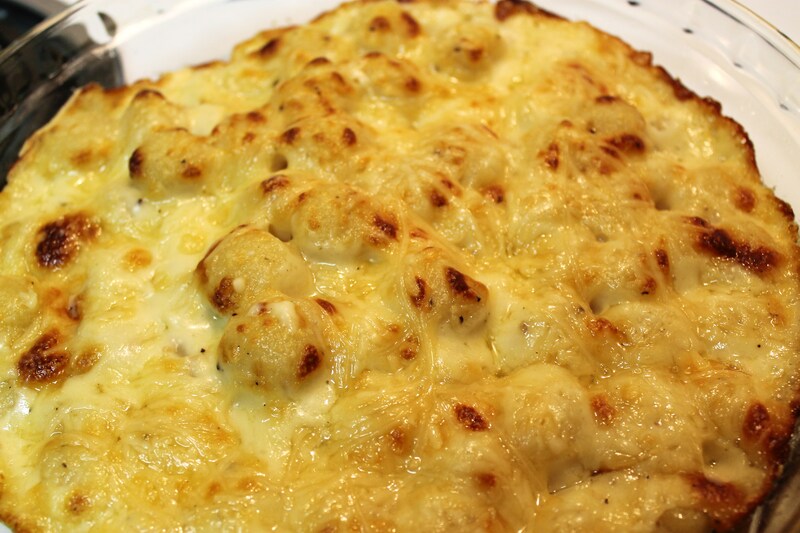 Bake gnocchi until they puff and cheese is golden and bubbly, about 25 minutes. Let gnocchi rest for 5 minutes before serving. Are you sure it’s not a diet food? 😀 It sounds super delicious! Just the idea of that makes me giddy. I have to post that I made this and it was soooo good, husband said it was like gourmet food he has never tasted before. 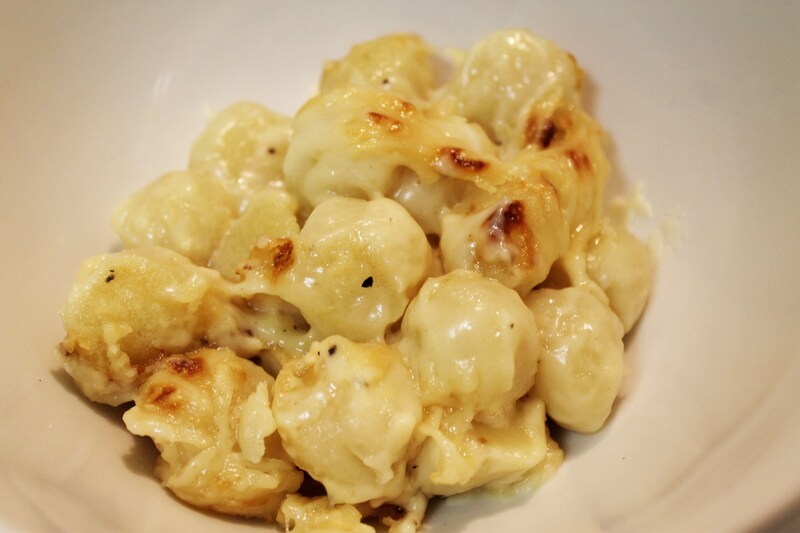 I’m about to make it again this week because we had leftover cheese…amazing!